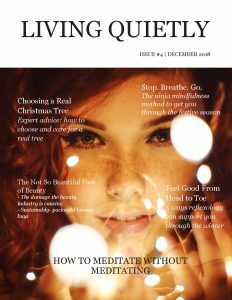 My short story First Light has been published in the December issue of Living Quietly magazine. This Christmas story is inspired by my dad, who in retirement used to go and watch the sunrise and share stories with a group of friends. I remember him coming home more than once wearing a carved wooden medal enscribed with the words Best Liar! It’s still dark when he wakes me, the familiar creak of the bedroom door and his low “Time to get up, love” making me think for a moment that I’m a child still, on the brink of a school day’s slog. 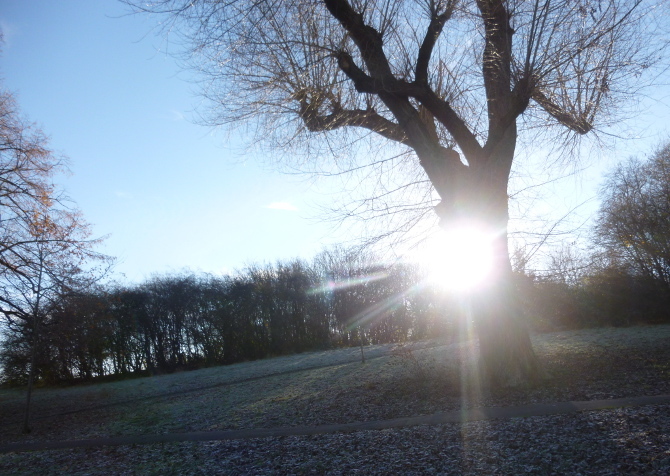 The blaze of his white hair catches the light spilling in from the landing, dragging me back to the present. I haul myself out of bed and pull on thermal underlayers, jeans, socks, extra socks, a lambswool jumper. A scent of spice catches the back of my throat: cinnamon and nutmeg. Downstairs the kettle rumbles, a flask standing by ready to be filled. Dad’s wrapping oven-warmed mince pies in a clean tea-towel so they’ll hold their heat. Download your copy of the issue here or click on the lovely glowy issue cover above.